DEMAND for a retirement village at Tannum Sands is so high, the village will now be bigger than originally planned. Gladstone Regional Council has given preliminary approval to the plans, which have changed to include 183 units, up 39 from the original 144. Last month the council gave developers more time to begin work too, with an extension until April 18, 2022. A former Gladstone local is behind the lifestyle- focused retirement village, which would be built on a block of land at Old Tannum Sands Rd. Genbridge, a health, retirement and aged care management service, is involved in the project. Managing director Ross Humphreys said the plans changed after a community forum earlier this year. "The plans and concept have been changed to meet the needs of the community," he said. "We're now finalising feasibilities based on the new plans, which hopefully reflect what the community is looking for in an aged care development." Mr Humphreys said they were at the final stage of firming up the costings, to make sure the project was affordable and viable. There is no firm date when on-the-ground work would actually start. "There is no definite timeframe at this point but certainly early in the new year ... we will be fairly close to understanding the timeframe from there," Mr Humphreys said. A council spokesman said the change to the unit numbers did not reduce the "overall built form". Rather, he said it increased the number of parking spaces and met more contemporary standards for aged care accommodation. "Conversations between council and the applicant remain ongoing for the purpose of assisting to obtain all land use approvals," the spokesman said. "Timeframes with respect to construction are unknown." The council spokesman said there were many benefits to aged care accommodation with the region "currently under-serviced". Patricia Doherty, president of the Tannum Sands QCWA, lives in her own home at the beach town at the moment. However, she said you never knew what could happen, so any aged care options in the area were a good thing. "There's nothing around too much down there at the moment," Ms Doherty said. "There's a lot of people down there that probably don't want to move out of town. For the people that want to go into a retirement village it would be a god-send." 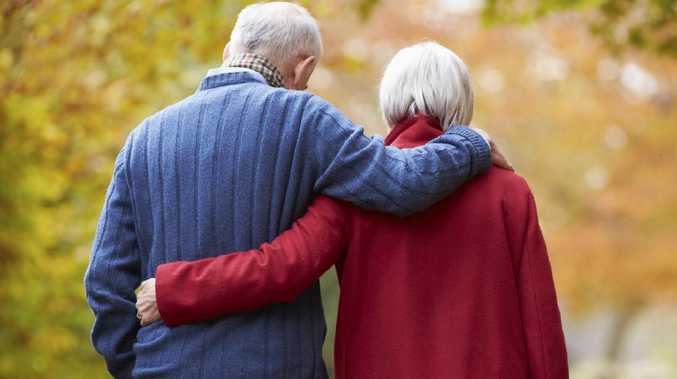 The Gladstone Observer revealed earlier this year many retirees had been forced to leave the region because of a lack of aged care accommodation. Mr Humphreys said they had received the same feedback from people during their public meetings. Where's the worst place for congestion in Gladstone?